Which Teams Will Make It To The World Cup Final? You may not have expected the 2018 World Cup semifinal consisting of Belgium, France, Croatia, and England, but it is what you are getting. This all European-lineup has a lot of talent built in and a bit of luck. 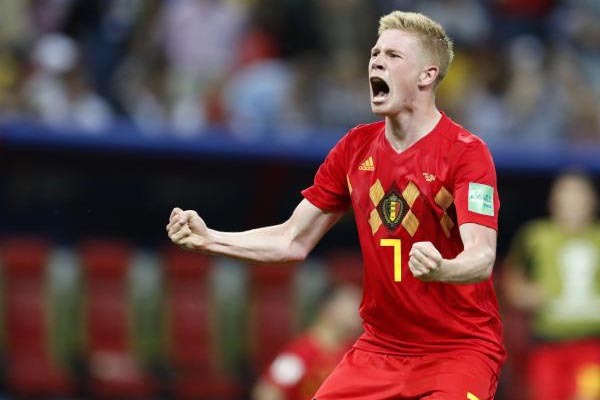 Official betting odds on the World Cup predict Belgium and England going through, however, it would be foolish to count out France and Croatia. England is a hard team to discuss. On paper, they are solid. However, history says it’ll all blow up in their face at some point. Despite their talent, they seem to always fail to play as a team. This time around looks a little different. There’s a belief in the squad that could push them past Croatia. They finally won a penalty shootout after a harsh game against Colombia. They got back on the scoring sheet with a 2-0 win over Sweden. It’s clear their strength is in set pieces. England has a solid attack with Harry Kane leading the charge, but more of their success seems to come through penalties and corners. Croatia has had some incredible highs this tournament. They bested Argentina 3-0 and showed some powerful offensive capabilities. From there, they should toughness against Denmark and Russia—2 games that went the full distance and into penalties. It’s a good feeling knowing your keeper is in solid form in case of a penalty shootout. Croatia also has a knack for coming back from being down, meaning no lead is safe for the opposing team. This game will likely go into extra time and could be another penalty shootout. If that happens, Croatia has the edge. France was in the 2016 Euro Final and lost. The fact they’ve put themselves in this position in another international tournament shows the strength of the squad. If anything, this French team is better because they’ve figured out their roles. Olivier Giroud has gone from goalscorer to playmaker, Paul Pogba shapes up as a strong defensive midfielder and Kylian Mbappe shows he deserves all the praise he gets. We can’t forget about Antoine Griezmann, the prolific forward and France’s highest scorer this tournament. France’s matchup against Belgium is tough, but if any team can knock Belgium off their pedestal it looks like it could be the Frenchmen. The midfield will be a battle, but both teams have good forwards that can convert chances. Belgium has looked like the best team in the tournament throughout. On top of their strong performances, they can say they knocked out Brazil. It was no easy feat, but Belgium has a strategy of their own worked out that makes them look unbeatable. Their size and strength is hard to deal with, especially for less physical teams. They’ve also got a reliable midfield general in Kevin De Bruyne. Romelu Lukaku is always a threat, even when he’s not scoring goals. If Belgium keeps their strong lineup, saving the faster smaller players for subs, we predict they will beat France. A Belgium-Croatia final seems the most likely choice given how these teams have played. France will make a tough case for a spot in the final, but Belgium’s grit will be enough to see them through. England has a lot of spirit this time around, however, we don’t think they have what it takes to win another close game. If anything, it will go to penalties, where Croatia has a better chance.